All of you locals are in for a real treat because if you are like me then you have a love for a really good lacquered piece of furniture. I started out four years ago on a quest to find somebody that a) knew how to lacquer and b) didn't charge an arm and a leg. 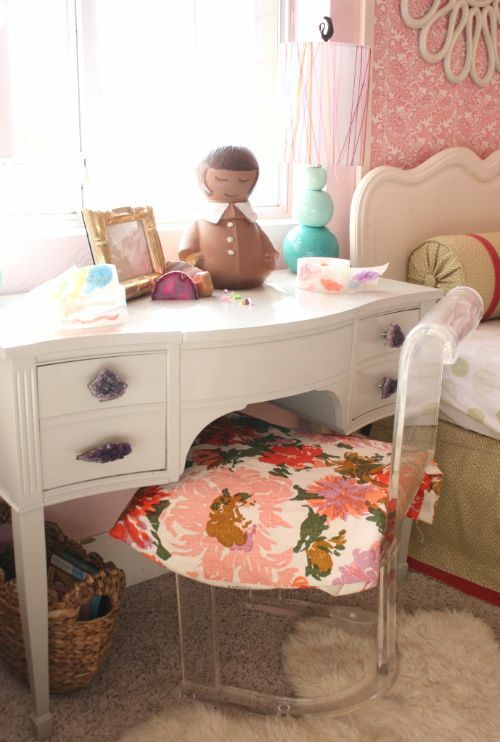 I had received a few different quotes on lacquering my little girls dressing table but I never felt like I was ready to pay the money it took to get the job done...it was going to be expensive. Finally I posted about my lacquering woes and what do you know I had an email from Keeley at European Paint Finishes and boy was I so happy. Keeley and Mike are a husband and wife duo specializing in refinishing furniture. After settling on a custom color Mike went to work at getting a perfect match and he did a great job. I've had the dressing table home for a while now and I have been more than impressed with the workmanship. It looks like a high-end piece without the high dollar price tag..in fact they are very reasonably priced. Anyway I have been so excited to share this source with all of you because of my experience with refinishing the piece in a lacquer. Oh and all of the other pieces that I have seen Mike & Keeley work on have truly been pieces of art. You will not regret using them for any of your refinishing needs..promise. You can get in contact with Keeley at European Paint Finishes right over here. P.S. - Can you see my amethyst knobs? In case you missed it I blogged about making them right here. LOVE the fabric you're using to recover the seat. i hope the girls appreciate it! man, I wished you lived in LA. I found a gal who owns a store who resells refinished furniture but she refused to share her source with me :( Love your new hardware as well! Dude, you always find the best fabric. That's the source I want to know...where Christina nabs her fabric finds!!! Hope the weekend is good in AZ! That desk is amazeballs! Your girls are lucky duckys to have that room. I wish I could find a photo of the room my sister and I shared growing up. Bleh! You would die.